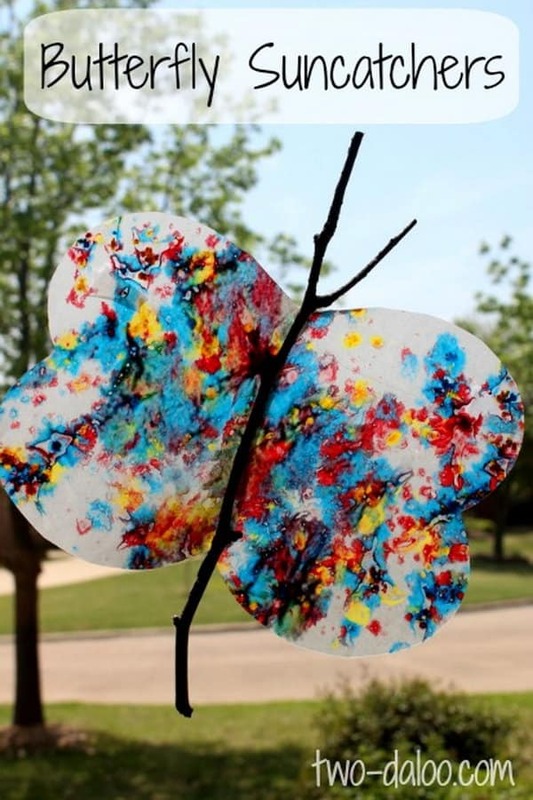 When it comes to crafting during the springtime, we find that our kids do almost as much of it as they did when they were stuck inside all winter long. Although the weather is lovely some days and they’re definitely also playing outside more, those long rainy days still happen and nothing lift their spirits like a “crafternoon”! That’s why we’ve had our eyes open extra wide lately for awesome DIY projects that are simple and great for kids. They love DIY of all kinds; they’ll happily make just about anything! Just in case you’re in the same position as we are and could use some new crafts and DIY projects of all kinds to make with your kids on a rainy day, here are 15 of the very best ideas, tutorials, and designs we’ve come across so far in our search for inspiration. Are your kids actually a little bit older and starting to take a bit of interest in crafts and projects that require a bit more concentration and patience? Well, if you . 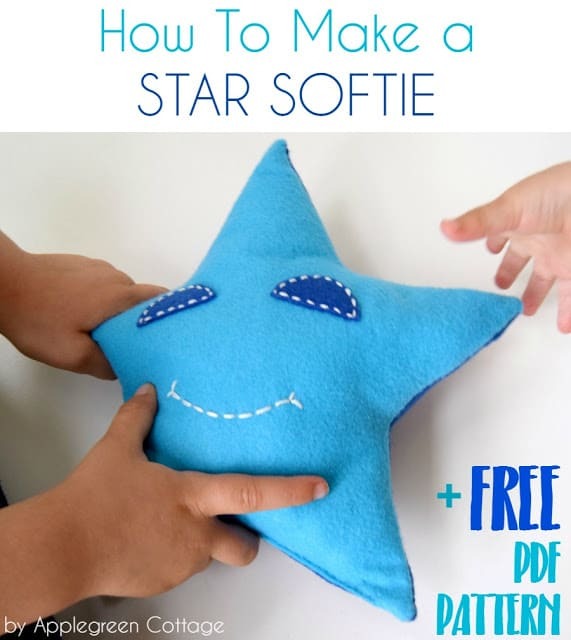 think they can handle a bit of very simple sewing under your supervision, then maybe they’d be ready to try making this adorable star shaped softie outlined step by step on Apple Green Cottage! If you’re going to do a bit of crafting this spring, would you rather make something that feels a little bit seasonal? In that case, we think you might get a long a little better with something like these colourful butterfly sun catchers outlined step by step on Two Daloo! We like that the shape and the fact that they’re made with twigs really ties into the season happening outside. 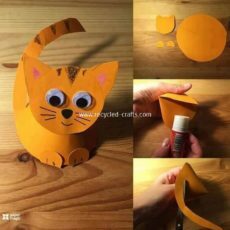 Just in case your kids love making crafts they can also play with afterwards the best, just like ours do, here’s something that was simple to make but so much fun to use that it kept out little ones busy for days after! 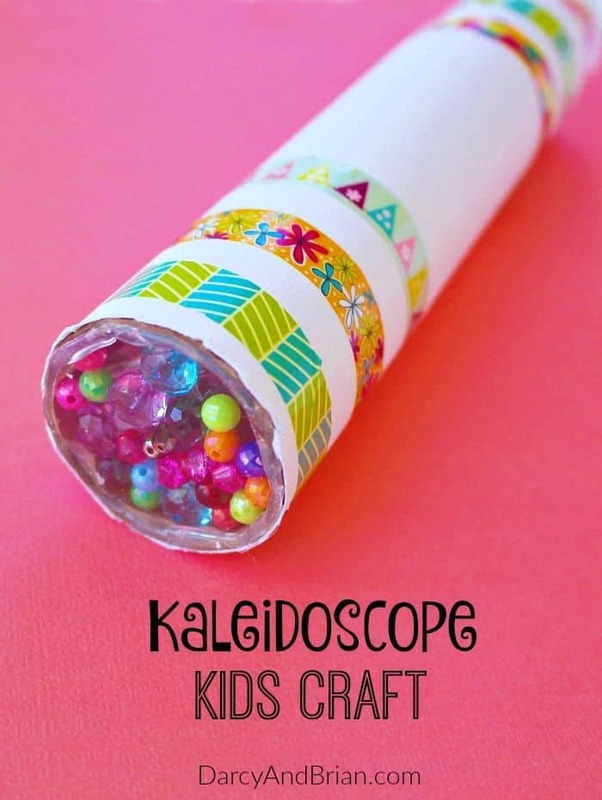 Darcy and Brian shows you how to made a cute, custom decorated little kaleidoscope that’s filled with bright, sparkly plastic beads. Did we really catch your attention when we started talking about slightly more challenging crafts that are still kid friendly but also require a little more patience, but you’re just not convinced that your kids are ready to start sewing just yet? Then we have a feeling you’ll appreciate the way Easy Me World helped their children carefully nail a simple butterfly shaped outline into a slab of wood and let them fill colour in using string wrapping techniques. 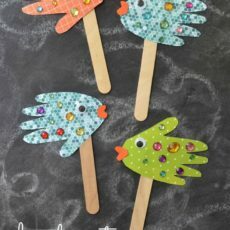 Are you actually on the hunt for crafts that your little ones could do right now but you don’t have time to go grab any special supplies, so you’re trying to work with what’s already available to you? 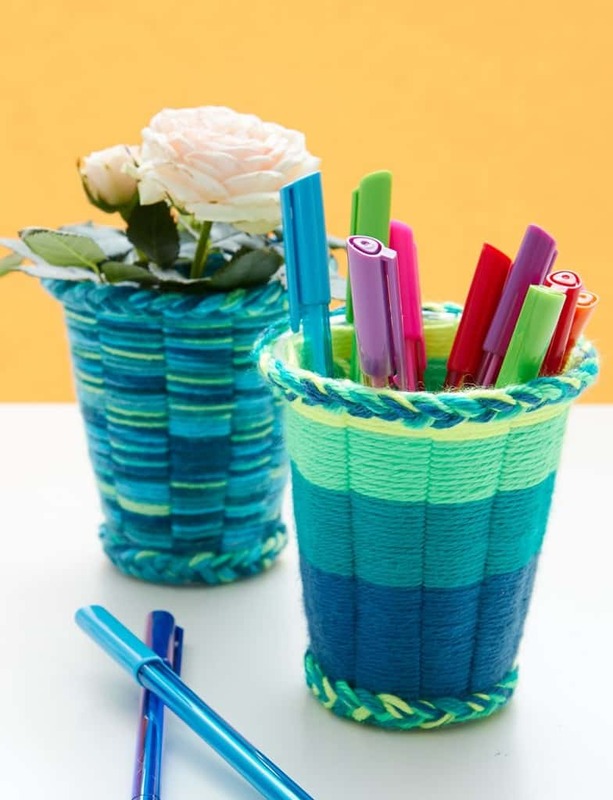 In that case, we’d definitely suggest reaching for that old pack of pipe cleaners and rinsing out two empty tin cans from your recycling bin so you can try these woven pencil holders featured on DIY Projects! 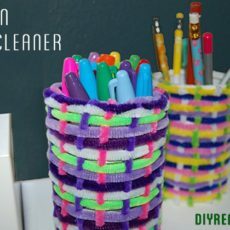 Just in case the idea of weaving a cover over something to create a kind of bin or vase seemed like something your kids would really love but you don’t have any pipe cleaners to work with right now, here’s a similar but alternative idea for your consideration! 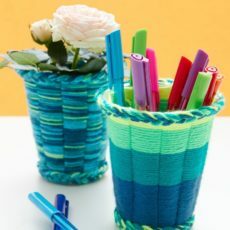 Check out how Fave Crafts created these awesome cups using simple, kid-friendly yarn weaving techniques. Are you actually so strapped for crafting supplies right now that you can’t help wondering whether you might help your kids making something simple just out of construction paper until you have time to grab more supplies soon? In that case, we’d definitely suggest letting Recycled Crafts save your rainy crafternoon with this adorable tutorial that shows you how to paper a cone shaped paper cat! 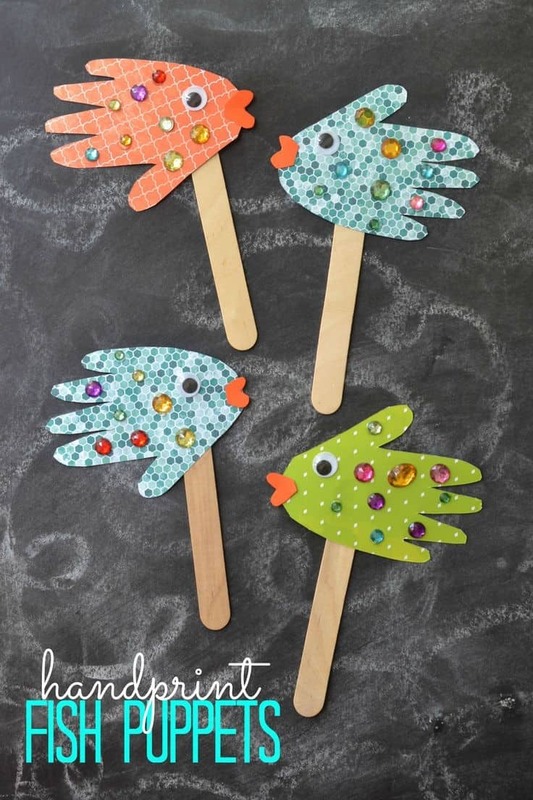 Speaking of crafts that can be played with or used after, check out these adorable fish puppets that are made from simple paper and popsicle sticks! Glued to My Crafts shows you in detail how they made the awesome fish shape by having their kids trace around their hands and then cut around them before bedazzling, decorating, and mounting them onto the sticks. 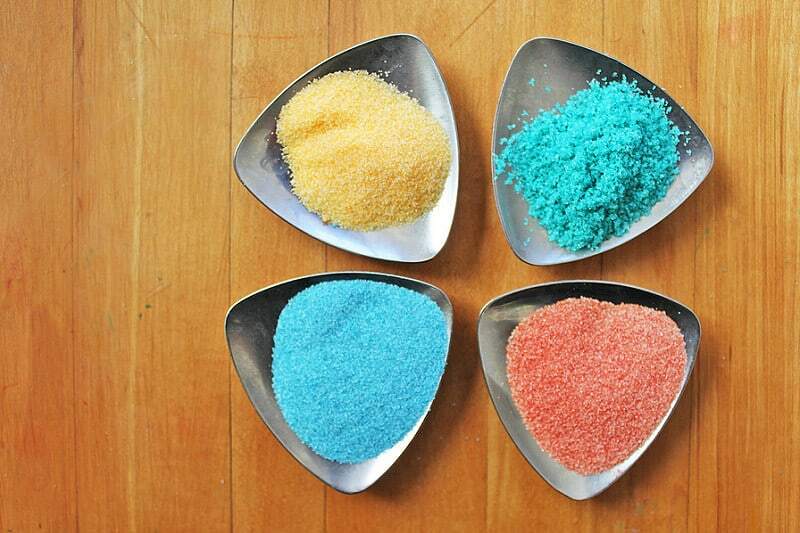 If you’ve never made coloured salt before then we’re sorry to have to tell you that you’ve been missing out on something fun! Coloured salt is useful for all kinds of things, including textured salt paintings or even just adding a bit of extra flavour and detail to your food presentation. It’s also really easy to make with your kids, regardless of how you’re using it! See how it’s done in more detail on Babble Dabble Do. Are kids the kind of messily creative little Picassos who adore painting things more than just about any other kind of craft? In that case, we’d be willing to bet that they like painting rocks just as much as ours do. 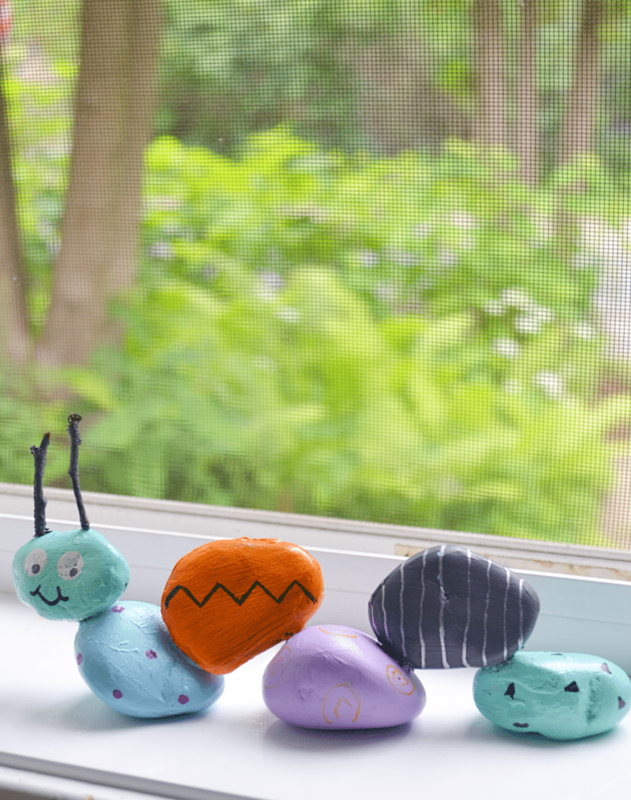 Take a better look at Nellie Bellie to see how they took that idea to the next level but gluing their painted rocks together to made a cute garden caterpillar. Have the ideas that caught your attention the most so far definitely been the ones that involve some kind of upcycling or repurposing element, so you’d like to collect a few more of those to have in your back pocket on a rainy day? 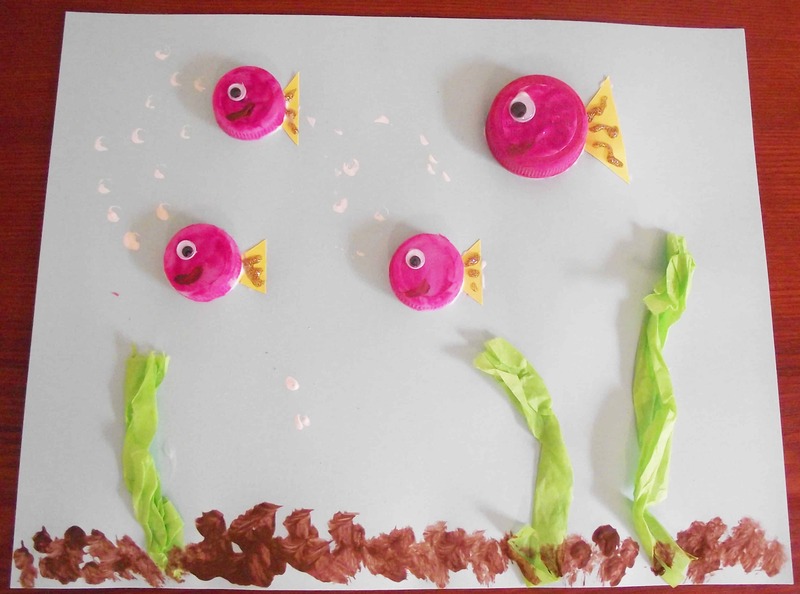 Then we think you’ll really appreciate the way All Kids Network made this adorable little fish portrait using tissue paper, paint, and plastic bottle lids. If you’re ever seen the movie The BFG, then you already know all about how awesome dream catchers are! 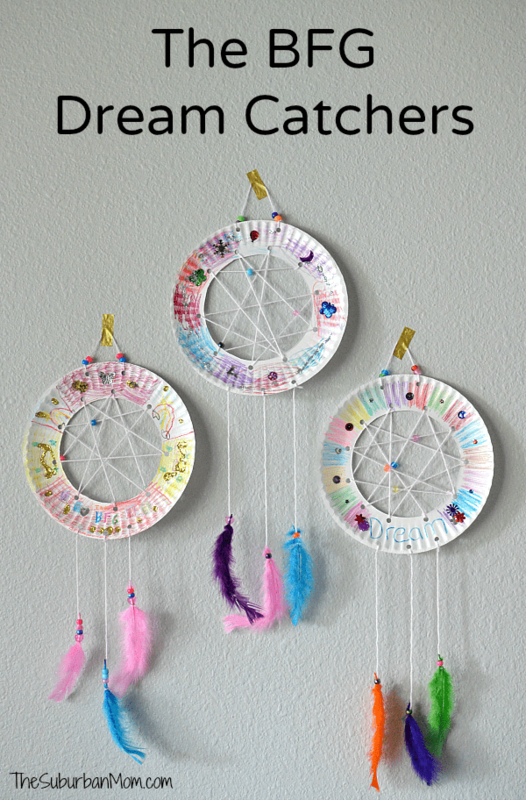 Of course, there are plenty of contexts that you can learn about the cultural phenomenon of dream catchers from but this particular (and awesome) tutorial from The Suburban Mom was inspired by that story, and we’re very glad because the final product is lovely and our kids had a blast following along to make their own! 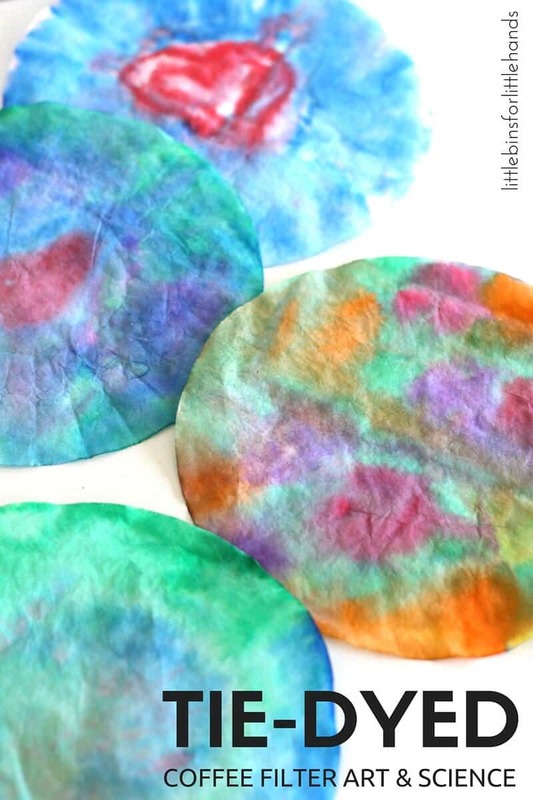 Are you totally aware that some of your kids’ favourite crafts are based in paints and messy colour arts so those are the kinds of ideas that you’d like to collect the most? Then we have a feeling you’re really going to appreciate the way Little Bins for Little Hands did this awesome project where they introduced their kids to die-dying techniques using coffee filters! It’s just a really fun way to play with bright colours and make patterns. Of course, toilet paper roll crafts are a huge classic no matter who you are, and that same rule applies in our house. Our kids love the fact that you can take something so plain and turn it into literally anything! 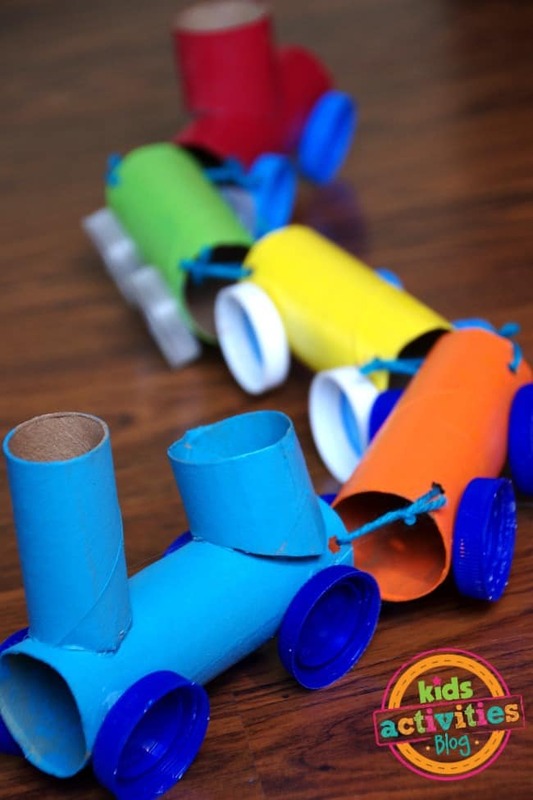 This idea toilet roll train idea from Kids’ Activities Blog in particular makes for an especially fun project because you also get to upcycle plastic bottle lids as well. We’ve talked an awful lot about creative kids’ craft that reuse the tops and lids of plastic bottles, but what about the bottles themselves? Well, just in case you’ve got some lying around leftover from the other projects we’ve shown you, here’s a cute floral project that involves using the bottom to paint print on paper in order to make flowers! We love the way Crafty Morning glued buttons in the centre to make the middle of the flowers. 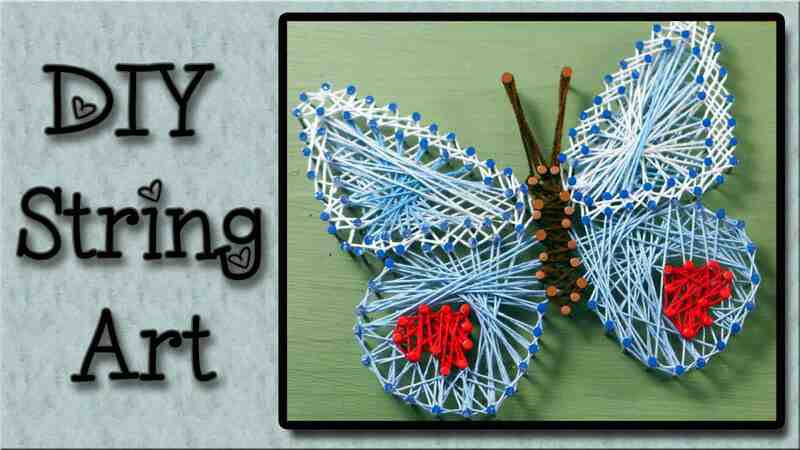 Do you and your kids have some other absolute favourite projects when it comes to crafting together but you don’t see anything quite similar to those on our list? Tell us all about what you’ve made and how you did it or link us to photos of your finished work in the comments section! 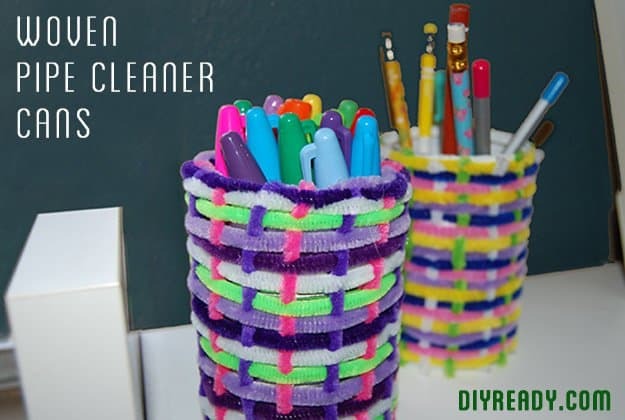 The post Quick and Easy Crafts for Kids appeared first on DIYs.com.